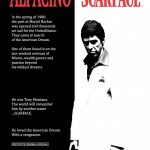 Funko is releasing a new Scarface – Tony Montana Pop! Vinyl Figure. The new figure, part of their Pop! Rides series, features Tony in his 1964 Cadillac Convertible. 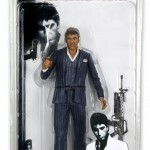 Tony Montana will be removable from the vehicle, so you can display it however you would like.The photo comes courtesy of Forbidden Planet. 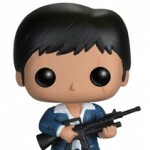 Funko has revealed a new Tony Montana (aka Scarface himself) Pop! 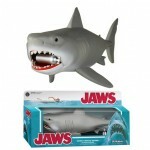 Vinyl Figure as well as a Wacky Wobbler. 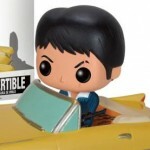 The Tony Montana Pop! Vinyl Figure will be available December 24th, while the Wacky Wobbler will be available March 25, 2014. Also revealed is a series of Uglydoll x DC Comics Vinyl Figures. These include Ice-Bat at Batman, Wedgehead as Robin, and Babo as Superman. These will be hitting stores February 11, 2014. J.ME. 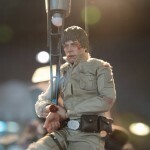 has posted a bunch of new photos of Enterbay’s Real Masterpiece Scarface Tony Montana (The War Version). The 1/4 scale figure comes with numerous accessories and multiple hands. It is due out this December. Discuss on the Toyark Forums› Views: 11031 › Credit: J.ME. 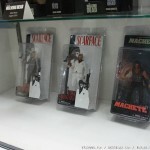 Here are a couple of photos from some of the other NECA figures at San Diego Comic-Con 2011. 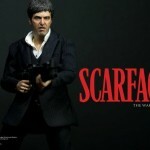 NECA has updated their Twitpic with a new photo of their upcoming Scarface figure. The new photo of this 7″ Tony Montana figure shows a blister card sample. The figure comes with a handgun as well as an assault rifle. Expect to see this in stores come June. Click the thumbnail for a photo.